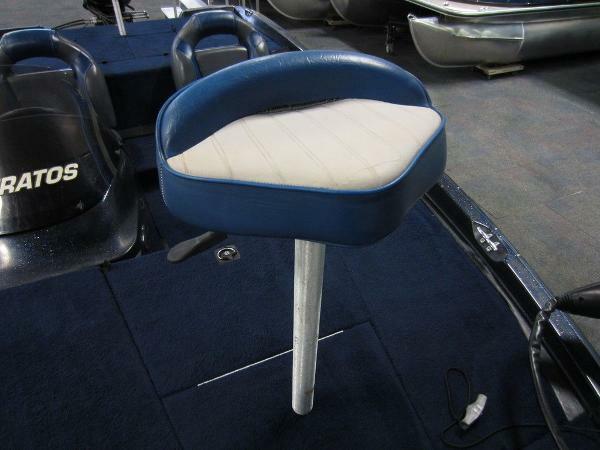 1999 Stratos 273 Vindicator 1999 STRATOS 273 VINDICATOR! 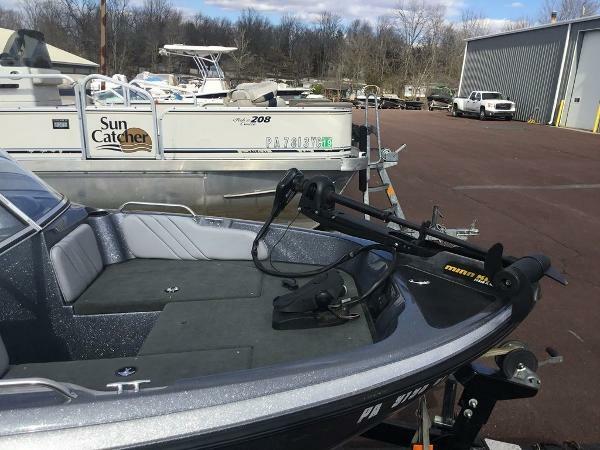 A 150 hp Evinrude outboard with oil injection powers this fiberglass bass boat. 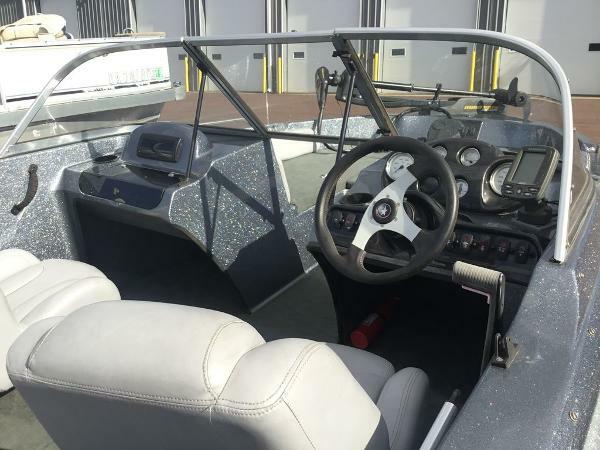 Features include: custom snap-on mooring cover, Renegade 4-blade stainless prop, jack plate, Panther skeg guard, Motorguide 75 lb thrust 24V trolling motor, dash Humminbird 143 fish/depth finder, bow Humminbird 197c depth/fish finder, Teleflex Pro Series trim switch and hot foot, Guest Charge Pro 10-amp on-board battery charger, side console w/removable windscreen, gauges including; speedometer, tachometer, trim, and fuel; bilge pump, navigation/anchor lights, electric horn, circuit breakers, raised bow and stern fishing decks, bow swivel bike seat w/adjustable post, (2) large bow storage compartments, bow cockpit cooler, bow trim and anchor light switches, bow top deck hold down cord, center bow storage compartment, bow traction mat, cockpit seats w/passenger safety handle, port cockpit rod holders w/hold-down cord, (2) stern storage compartments, stern aerated livewell system w/recirc, stern battery and fuel tank storage compartment, keel guard, (4) stainless mooring cleats, beverage holders, cranking battery, (2) deep cycle trolling motor batteries, fire extinguisher, and 4 person carrying capacity. Also included is a Stratos custom bunk trailer including; side centering bunks, 14” chrome wheels, fender steps, spare tire carrier w/matching spare tire, bearing buddies, tie down straps, and swivel jack. 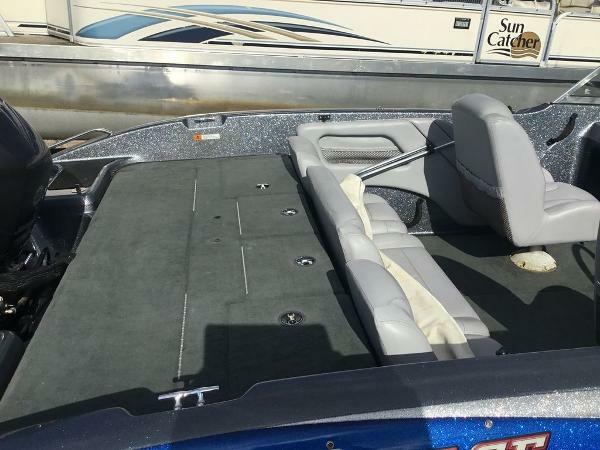 This boat is in fair/average overall condition (see pics/video). It has been inspected by our factory-trained technicians and is mechanically sound. Trades will be considered and delivery is available. Competitive financing rates and terms are also available. Approximate payment of $163/mo. w/20% down for 60 mo. (WAC). Leaders RPM is one of the largest marine and powersports dealers in the Midwest with over 70,000 sq ft of showroom, parts, and service under one roof located in Kalamazoo, MI. Price is plus sales tax/fees and is subject to change without notice.